Cakes, chocolates, pies, tarts, cookies, soufflés, truffles, and other delectable creations are limited only by the creativity of the pastry chef, and have become a natural part of daily menus and celebrations. Pastry chefs may also find a particular niche in bread baking. Homemade morning breads and muffins are a mainstay at luxury resorts and hotel facilities, and it is the genius of the pastry chef that is on display in these creations. At large properties, pastry chefs run fully functioning bakeries, in the same manner that executive chefs run kitchens. Homemade yeast breads and quick breads are produced by in-house pastry shops that rival the world’s finest specialty bakeries. As you pursue a Culinary Arts career as a Pastry Chef, there are several levels of education open to you. To become a pastry chef or baker, a certificate or degree is not always required. However, as with other careers; the better your educational background is, the better your employment prospects are. Answer some career questions before you sign up for a Baking and Pastry Arts Degree program. How specialized do you intend to become within the pastry field? It is helpful to define your target jobs early in your career, so you can place yourself on the best educational path available for landing them. If you want to be a general kitchen staffer who likes to do the baking, you won’t need the same degree of education as someone who intends to specialize in intricate spun sugar works or chocolate confections. 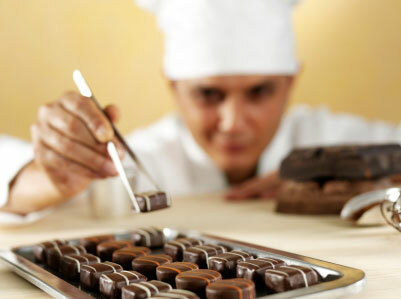 A Certificate in Pastry Arts, combined with a healthy dose of hands-on experience will probably take you as far as you want to go as a general pastry worker, but if you strive to become a master chocolatier you will need specialized skills that might require a more in-depth education. Associate’s Degrees in Pastry and Baking provide sweets-oriented tracks of study that provide the same theoretical cooking instruction as regular Culinary Arts programs, but with an emphasis on preparing quickbreads, petit fors, cakes, pies and chocolates. If you intend to open your own bakery or restaurant you’ll need kitchen chops, but make sure your education also includes a secondary emphasis on business management. Entrepreneurs sometimes secure sound business educations separately from their Pastry Arts pursuits. That way, the individual facets of being an owner/operator are addressed thoroughly and completely. Many colleges specialize in pastry arts and others offer pastry courses as part of their general Culinary Arts curriculums. Some offer one single type of certification, while others put forth several culinary degree programs. The most common course catalog for schools that offer culinary schooling is characterized by two main degree or certificate programs – one is in Culinary Arts, and the other is in Pastry and Baking Arts. Depending on where you want to work, the school you attend may take on a great deal of importance to your employer. Your passion and perseverance will take you a long way, but resume credentials that include Certificates and Degrees from reputable cooking schools give you mobility in the kitchen. Some schools are better prepared for exposing you to creative pastry arts techniques than others. They have proven career curriculums and noted bakers on staff to drive points home. Other schools indoctrinate students into the baking craft with the most basic instruction, then place them in working kitchens as soon as possible. The culinary industry promotes from within, but the more specialized your niche is, the more important it becomes to have proper instruction early on. Studying abroad may provide better opportunities for education in the pastry field. Working with accomplished pastry pros is a valuable part of any education, so internships and apprenticeships with European master bakers can be beneficial to your career. You may find, when applying for certain positions, that even a simple French Pastry Arts certificate from a renowned institution opens more doors than an Associate’s Degree in Pastry Arts from a lesser known American school. Diplomas or Certificates are culinary training programs that present the basic skills required for entry-level employment in a variety of kitchen settings. There are advantages to this course of study that should be considered as you embark on your quest for culinary excellence. Time is of the essence when it comes to bringing in a paycheck. By garnering a comprehensive culinary education in a relatively short span of time, you are fast-tracked to the workforce in a way that won’t destroy your bottom line. Pastry Arts Certificates are generally completed in no more than 2 semesters. You might already be working in a bakery or pastry shop when you realize your upward mobility is hampered by a lack of formal education. Your kitchen bosses have been through pastry training so they are quick to identify your shortcomings. Diploma programs fill in the blanks so your baking chops are complete and solid. Climbing through the kitchen ranks, as a baker or pastry specialist is a realistic possibility for Pastry Arts Diploma graduates. When a Certificate or Diploma in Pastry Arts presents the best educational path forward for you, it pays to investigate local community colleges for worthy programs. If you are eager to get to work in a professional kitchen, the convenience of a local program might be the educational fast track you need. But national culinary educators are also well equipped to advance your career with immersion studies in areas that include Baking and Pastry making. The Culinary Academy of Austin has 6 month and 15 month courses of study where students earn certificates in Pastry and Culinary Arts. Another option is Le Cordon Bleu, which has locations all over the United States and internationally. Most locations offer Certificate and Associate’s Degree programs in Baking and Pastry Arts. For students interested primarily in French pastry, the French Pastry School in Chicago, Illinois may be a good choice. Associate’s degrees are undergraduate degrees issued by community colleges, junior colleges, technical colleges, and four-year universities. They are often refereed to as two-year degrees because the curriculums they offer are generally structured for completion in two years. Associate’s degrees are distinguished from certificates, which are specific modes of study that usually last for less than one year, and Bachelor’s degrees which generally require at least four years of continuous schooling to complete. Associate’s degrees are also issued by institutions that specialize in particular areas of education. Culinary schools often have Associate’s Degrees in Pastry and Baking among their stable of academic offerings. Such degrees are intensively focused on Baking and Pastry techniques and trends, but they also include instruction in basic college level skills like writing and mathematics. Foundation and baking theory are also essential components of an Associate’s coursework. Classical techniques must be understood and mastered before ambitious chef students begin carving out their own niche in the field of contemporary baking and confectionery. By balancing the practical application of baking knowledge with the abstract concepts of the pastry arts, schools are able to produce Associate’s Degree graduates that have a deep and well-rounded understanding of their craft. Community and technical colleges around the country have constructed state of the art kitchens and bakeries for the purpose of educating students at the Associate’s Degree level. No matter where you want to earn your baker’s whites, there is likely a worthy state community college program in place to accommodate you. National culinary school like Le Cordon Bleu or the Culinary Institute of America, are of course prime educators for hospitality professionals. And there are 4-year schools that offer Associate’s Degrees too, such as Kendall College where the course catalog includes Associate’s programs and a Bachelor’s programs in Baking and Pastry, and Culinary Arts. Bachelor’s Degrees epitomize what are known as “college degrees”. For culinary arts professionals the road to a Bachelor’s Degree is varied. For some, an Associate’s Degree in Culinary Arts or Hospitality Management is a stepping stone to further studies in a four-year program. Business and management degrees are offered at the Bachelor’s level as preparatory courses of study for restaurant entrepreneurs and professionals who want to enter the workforce in supervisory roles. Advanced studies in a particular culinary designation like baking and pastry arts can lead to a Bachelor’s degree. Casinos, resorts, cruise lines, luxury hotels and fine-dining restaurants hire graduates of Hospitality Management and Hotel/Restaurant Management Bachelor’s programs into mid- and upper-level management jobs. Bachelor’s Degree graduates are amply prepared to face the real world challenges of working pastry chefs. Responsible for creating baked goods and deserts applicable to the restaurant menu. May be required to assume the role of Executive Chef in his or her absence. Conduct food tastings for waitstaff and potential clients. For passionate bakers who want to soak up as much specialized pastry instruction as possible, standalone culinary schools are the best resource for advanced studies-they are able to delve deeper into the craft than broad based educators who tackle a wide range of subjects. The Culinary Institute of America has a Bachelor of Professional Studies Degree program in Baking & Pastry Arts Management that can be completed in just over 3 years. The French Culinary Institute at the International Culinary Center offers a fast-paced program designed to jump start a student’s pastry chef career. 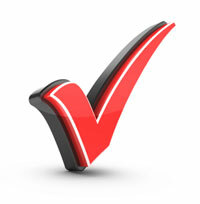 The FCI has courses of study designed for amateurs as well as professionals. There are very few institutions in the United States that offer Master's Degree programs for Pastry or Culinary Arts students. A Master's Degree is not a certification that is necessary in order to advance in the restaurant and catering fields. Climbing the ranks of career success can be accomplished through hard work and perseverance, but in practice, a Master's level education in the culinary arts consists of a series of apprenticeships with the most highly skilled chefs on earth. Le Cordon Bleu, CIA and other national cooking schools like Art Institutes campuses are the hotbeds for advanced culinary studies. These schools employ the culinary powerhouses that are capable of elevating your education to the Master's level. Master's programs are excellent opportunities to learn the most complex techniques, to study nutrition in greater depth, and to thoroughly master specialties like Baking and Pastry Arts. Schiller International provides Hospitality Management Master's Degrees for front of the house specialists who want to work in management roles, but such programs are a departure from the kitchen-heavy programs that serve hands-on chefs. Master's Degrees in business disciplines are also sought by baking and pastry professionals who want to prepare for entrepreneurial ventures.